Last month, we published an article about a Chevy Bolt “fan commercial.” The commercial was superb and we praised it while somewhat despondently wondering why GM doesn’t create such great commercials. There was just one problem with that — it turns out the commercial was created by GM’s team in South Korea. 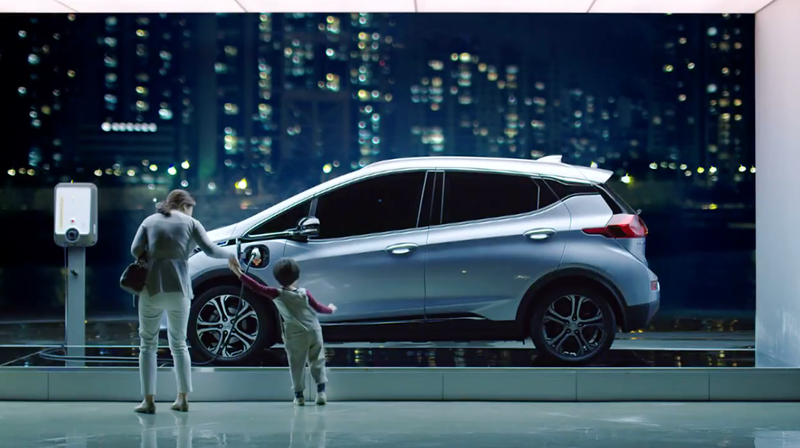 To repeat and expound a little bit on what we wrote before about the commercial, I think the ad is really well done — it portrays the Bolt as fun, exciting, high tech, family friendly, safe, quiet, clean, and hip. The commercial is all about selling the Bolt as a genuinely compelling, attractive car — not just as a green solution for the small percentage of the population that is going to choose a car with that factor as their prime consideration*. In fact, the commercial hardly implies at all that the Bolt is a solution to global warming and air pollution. And it doesn’t need to — people who care so much about protecting humanity from impending annihilation or from the horrible results of air pollution typically know that EVs are greener and have probably already searched this model out. The Bolt is one of the best cars on the market, which is why it not only won the 2017 CleanTechnica Car of the Year award but also the 2017 Motor Trend Car of the Year award, the 2017 North American Car of the Year award, and a heap of praise from the mainstream automotive world. 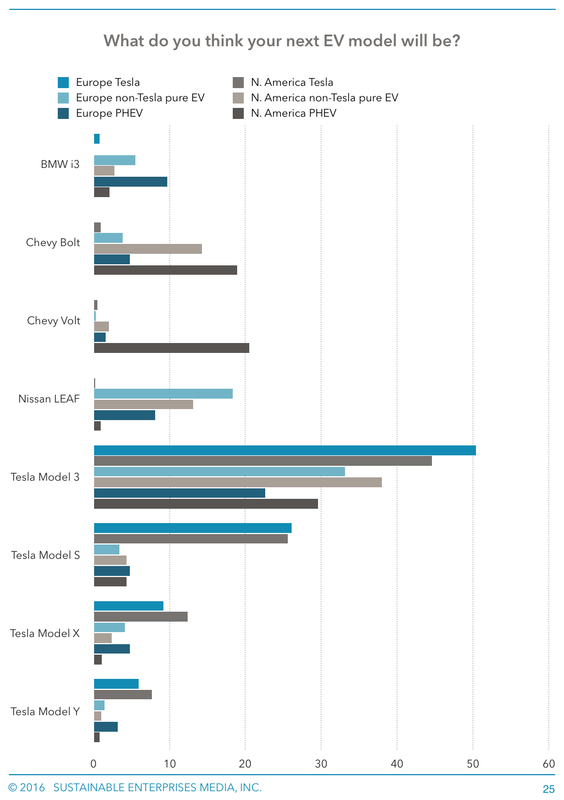 In our just released 93-page EV report, the Bolt came in second only to the Tesla Model 3 when respondents were asked which EV they’d likely buy next. In fact, 14–19% of North American non-Tesla drivers expected the Bolt would be their next EV (compared to 30–38% for the Model 3 in those categories). Those responses came from over 2,000 EV drivers in 26 European countries, 49 of 50 US states, and 13 Canadian provinces. In other words, the car has been highly praised and desired … so it’s nice to see that GM’s marketing in South Korea has matched that desirability quite well. And I think we could give GM a little more credit for trying to lead on EVs, and for also learning how to better promote them. That said, I’m curious to see where GM takes its US marketing focus once Bolt production isn’t limited (by what I assume are supply constraints). We’ll be watching with an open mind but a tinge of positive expectation, particularly after the South Korea commercial. *From the 2,324 responses we got from EV drivers, it turns out 33–45% (depending on category) chose “environmental benefit” as their main reason for going electric (chart below). That was pretty fascinating to me, since not that many people make big purchases with the environment as their main priority in choosing between products. But that is the niche segment of the population that has been buying electric cars so far. Get the full report, or at least read the first 60 pages (for free), to learn more.